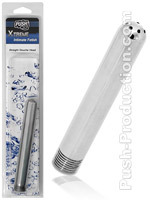 This allows for a more gradual and comfortable enema experience. enjoy a professional quality enema in the comfort of your own shower. 1/2" standard threads.